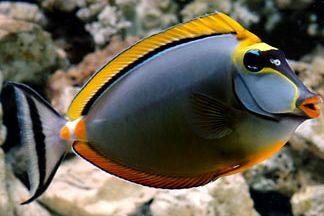 Like most other Surgeonfish or Tangs, the Blonde Naso Tang likes water with a moderate to heavy flow, creating currents to swim in. 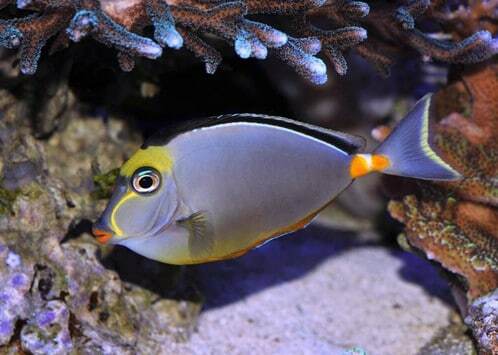 Being very active during the day, they require a large tank with plenty of open room to swim about while also providing plenty of live rocks and or Corals to offer some cover if frightened, and to sleep in at night. 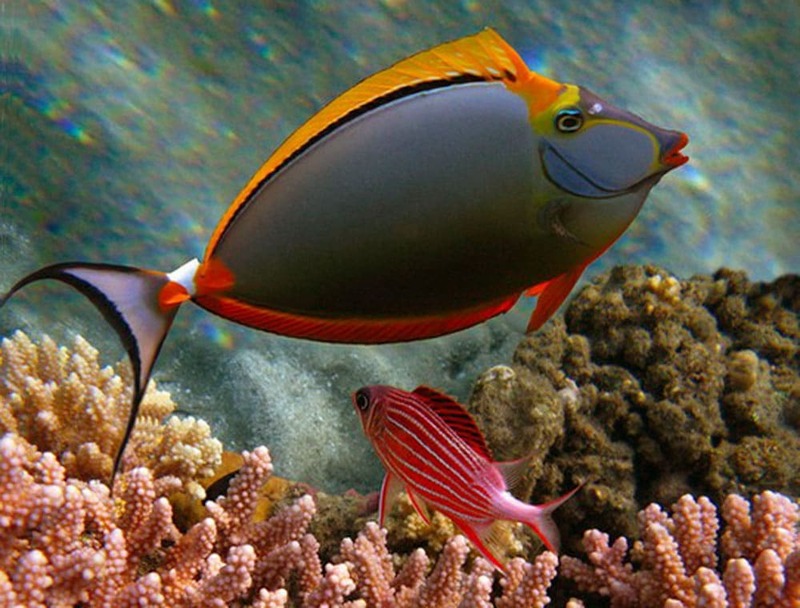 The Blonde Naso Tang, also known as the Orange-spine Unicornfish, darkens with maturity. 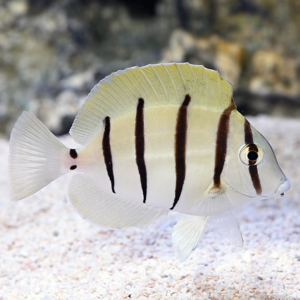 It is a is a friendly and familiar addition to a peaceful community aquarium, reef, or fish only system. 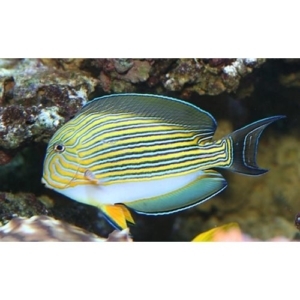 The tail takes on a lyre shape and two yellow patches appear at the peduncle spines near the tail. 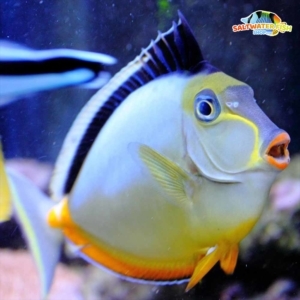 A thin, black mask forms between the eyes and mouth, and the lips develop a yellow color. 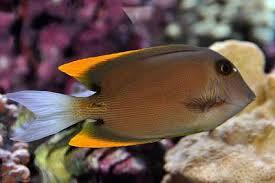 The Blonde Naso Tang can grow to be about 15″ and requires a tank no less than 130 gallons as a fully matured adult.